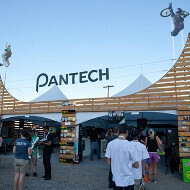 If HTC, Oppo and likely Samsung, Sony, LG and ZTE are doing it, what's to stop Pantech from releasing a Full HD handset? Indeed this might be the case with the Pantech Vega IM-A860 one leaked in the GLBenchmark graphics testing database. It is listed with a 1920x1080 pixels screen, the obligatory quad-core Snapdragon S4 Pro with Adreno 320 GPU and LTE radio, plus it will likely launch with Jelly Bean onboard. The camera res, RAM and internal memory amount are still unknown, but we'd wager to guess they'll match the other top-notch specs in the sheet. In addition, a Pantech Vega IM-A860S, which is likely a version for another carrier, received the Wi-Fi certification you see below, so all systems are set to go on yet another Full HD smartphone with a quad-core processor. Fingers are crossed fro Pantech. They've been putting out slightly better phones and it'd be nice to see them be a competitor. seems there best phones rarely come to the US. nice more options to choose from. I guess the competition lies in the interface. Just dont tell WendyGarrett or he/she will faint of news of another full HD Smartphone. Wont somebody please think of the childr....WendyGarrett?? The younger crowd on here my not remember Helio.. Their flagship phone was made by Pantech.. The Hero I think it was called. Way ahead of its time.